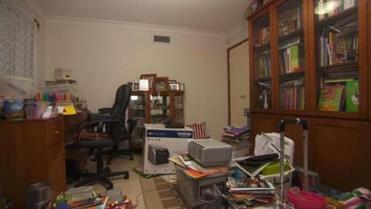 Could clutter be affecting your mental health and your waistline? I’m not sure why we still make such a big deal about spring cleaning. Every February and March or so, reporters want to interview me for stories about new and improved ways you can clear out your house so it feels spring-fresh. ■ Few people actually do it. They might open their windows (until it gets too hot and they turn on the air conditioner) and do some dusting. 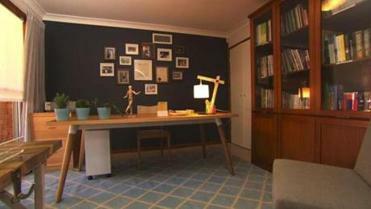 ■ It reinforces the idea that decluttering is a once-a-year event when it should be an ongoing process. Think about it. Over the course of an average week, do you bring more objects into your home than you take out? Society’s attitudes about “clearing out” tend to be fairly indifferent and fleeting. On the other hand, people’s feelings about keeping their stuff are often numerous and powerful. If you clear out any discoveries like these, your bedroom will be a healthier and saner place to rest your head. As a decluttering expert, the work I do sometimes overlaps with the efforts of researchers who study hoarding. There are differences between people who are merely heavily cluttered and those who are hoarders. But they’re not always far apart when it comes to specific attitudes. The after shot of the same office. I received an interesting e-mail recently from Tolin. He’s an adjunct professor at Yale University and sometimes invites people with hoarding disorder to lie in an MRI machine to see whether their brains are somehow different. He mentioned that for his most recent study, he and his team had to switch to a larger scanner because some of the participants didn’t fit. A 2008 study included a group of people who said they struggled with clutter, but who didn’t meet all the criteria of hoarding disorder. These people were found to be 77 percent more likely to be overweight or obese. 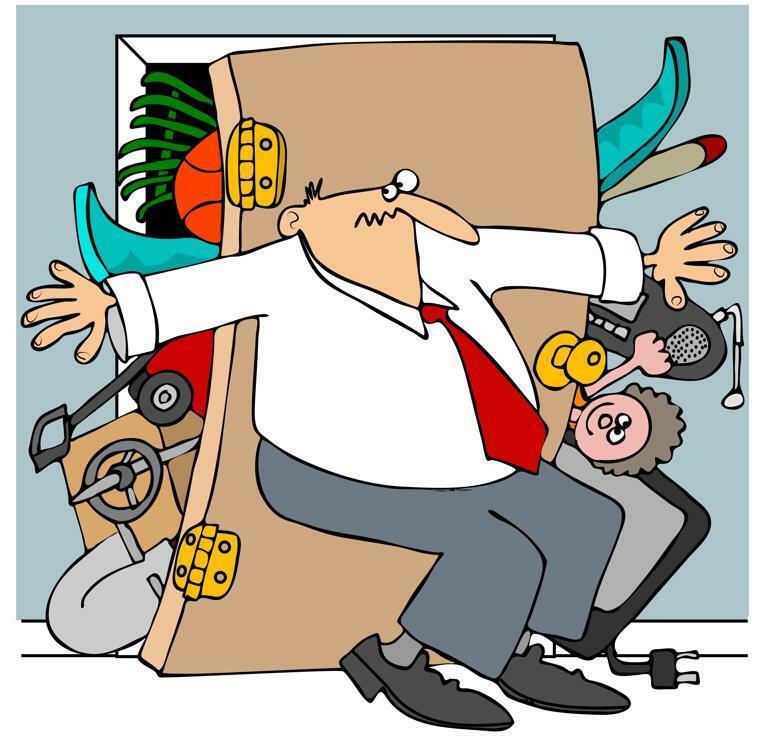 Clutter and excessive weight make a perfect match for each other; they both represent an imbalance. Over the years, I have noticed that very often when I knock on homeowners’ doors, the people living in these cluttered homes are struggling not only with the volume of stuff but also with their weight. Please understand: I’m not suggesting that all cluttered people are overweight. It’s not that simple. But my experience tells me that this connection is no coincidence. In some cases, one problem may encourage the other to develop. The chaos in your house might nudge you toward poorer eating and exercise choices. If you’re out of shape, you might become too easily fatigued to tackle a big decluttering project. But often, I think, other factors fuel the growth of clutter and body fat at the same time. If you feel like you never have the time or energy to make substantial improvements to your weight or your home, the best you can seem to do is shift around piles of clutter. You lie awake at night stressed, and you start the next day already tired. ■ It would just become more trash on an overpolluted planet. ■ It has significance for someone else. ■ Guilt. Someone thought enough of you to buy you a concrete garden statue of a squirrel. Your grandmother left you her teacup collection in her will. Our homes are filled with things that loved ones and friends gave us. And when you think about giving something away, you picture the gift-giver’s face falling in sadness. Even worse, what if they come to your house someday and don’t see the gift displayed? My response is simple and direct but tough. If a gift has come to you wrapped in obligations and tied tightly with a ribbon of guilt, then it’s not really a gift at all. It’s a manipulation. Then there are times you think a thing has more value simply because it belongs to you. Behavioral economists call this the “endowment effect,” Tolin says. I see this all the time. I recall one woman I worked with who carefully collected a brand of dolls with the intention of selling them to finance her daughter’s college education. When I met this woman, her daughter was well out of college, yet more than 2,000 dolls were stashed in a spare bedroom, gathering dust. Though a quick check of an online auction site clearly showed their value, she refused to sell them. Extreme? Maybe. But we tend to connect our memories to objects. Often people feel that if they part with an object, they’ll lose the memory attached to it. Or that a person now living on only in their memory would disappear forever. Often, when people are overly attached to too many memory-related items, I detect a real sadness. Like my client whose grandmother died 26 years ago. She put every single item from her grandmother’s home into storage. She never dealt with the loss, and her grandmother’s possessions were her attempt not to let go. My major concern with possessions like these is that they can become what I call “malignant clutter” — the stuff around your home that you hold on to even though its very presence is harmful. It’s possible that you can feel the hurt when you look at it. It eats away at your spirit. We generally associate the word “malignant” with cancer, and I don’t use this term lightly. A malignancy, however, either in our home or in our body, is something that needs to be identified and removed for the sake of our mental health and physical well-being. This is a common response from my clients, and they’re absolutely correct. They might indeed need some of these things, and I’ll never convince them otherwise. If the “memory clutter” I just mentioned ties you to a past that’s gone, the “I might need this one day” clutter wraps you up in a future that might never happen. Thanks to all the bulk-purchase discounts offered by huge warehouse stores, people are taking their “I might need this one day” up to the jumbo level. They bring home towers of toilet paper and giant tubs of mayonnaise that they wouldn’t have bought if they weren’t so inexpensive. Then they have to figure out where to wedge these stockpiles of items they may not finish for years. All your “someday” objects have an extra cost you may not be considering: When it comes to your home’s cleanliness and livability, it’s best to devote your resources to the current moment rather than to some future event that might never happen. Excerpted from: “Lose the Clutter, Lose the Weight” by Peter Walsh. Copyright (c) 2015 by Peter Walsh. By permission of Rodale Books. Available wherever books are sold. Walsh, a best-selling author and expert in organizational design, has hosted several TV shows including “Clean Sweep” and “Extreme Clutter.” Send comments to Address@globe.com.